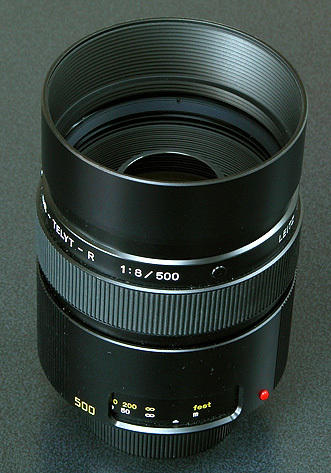 Looking at its shape, it is obvious that this lens is a Mirror (Reflex) Lense. 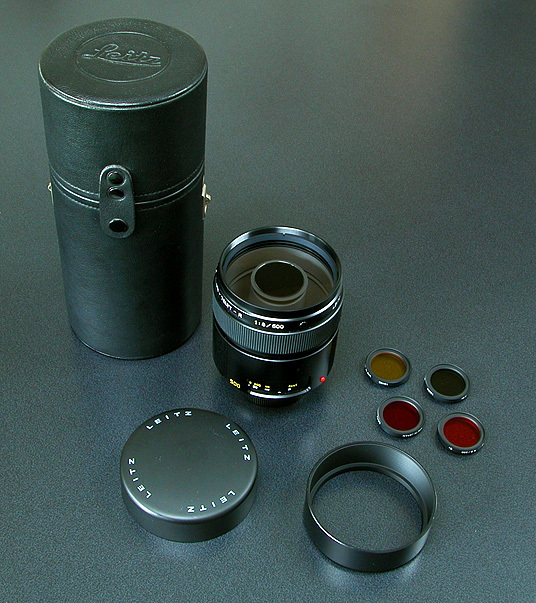 Many makers, such as Nikon, Canon etc.... produced the similar spec lenses at certain time of period, however, due to its limited open aperture of around f8 and its strange 'boke' namely Ring-boke prevent this lense from using by the serious photographer. It is also true that despite of its unbelievable light weight, it is still a 500mm lense so that the careful focusing within the vibrating finder view is necessary. With ISO 100 films, we sometimes find impossible to take any pictures because of the slower shutter speeds. 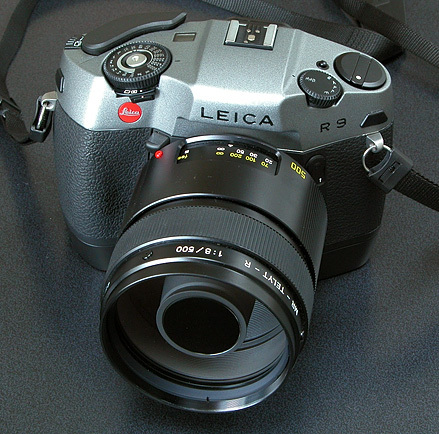 With winder-attached R9, this lens fits well of its size. Loading high-speed film will release us from its limited aperture of f8 and with light weight tripod will become a good travel companion. Under certain light situation, the centre area of this lens glows like a ruby, it is a lense with burning heart. Made in Japan.